Anyone that suffers from regular acne outbreaks has encountered those flashy products with great looking marketing. There are even dozens of products with celebrity endorsements. Ironically, celebrities that don’t actually suffer from acne. But in reality, you’ve probably fallen for some of these in the past. Only to be disappointed and promising yourself that you won’t do that again. If some of those companies spent half as much on researching their products as they do on advertising and marketing, they would probably stand a chance at coming up with some effective solutions. One of the main things that give away that they are not going to do much for anyone, is that they don’t highlight what type of acne they will work on. The most important thing to understand is that there’s no single acne treatment or medication that works for everyone. Mainly, because there are so many things happening inside your body that eventually lead to the development of acne. Unless you understand what those reasons are and what types of active ingredients you need to focus on, you will be very exposed to falling victim to clever marketing rather than clever products. 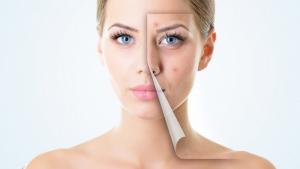 “Acne is the result of a complex interplay of genetic and epigenetic factors that give rise to inflammation, follicular plug formation, and irritation due to the overgrowth of the bacterium (P.acnes), and the consequent overproduction of irritating bacterial breakdown products within the pores that leads to pimples, pustules and cysts. Moving forward, we find those diets and detox plans that claim to cure not just acne, but just about every health problem you have. A website claims that their product, which is made from an extract of 10 super foods, won’t just clear your acne within 10 days, but you’ll also lose 10 pounds of weight in the meantime. Don’t they all sound too good to be true? They actually are. As of now, there exists no product, diet, or detox plan that can cure your acne within 24 hours or even 24 days. How Long Does it Take to Get Rid of Acne? Countless researched articles have proven that even the most successful acne treatments require from several weeks to even 3-4 months to provide the desired results. 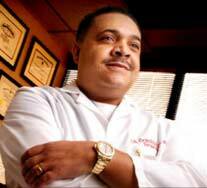 Barbara R. Reed, MD, a dermatology professor at the University of Colorado Hospital in Denver, says that skin slowly reacts to treatments. If acne has developed fast, it doesn’t mean it will go away with the same speed. It usually takes between 6 to 12 weeks. The biggest reason behind those bold, “quick fix” claims are that these products have not been tested from reputable sources. It’s also possible that they’re not clinically trialed at all. Some treatments may work better than others. But even with most successful, clinically trialed acne treatments, the success rates are never 100%. 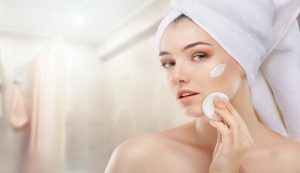 After crawling through dozens of reputable researches on acne treatment, I wasn’t able to find a single case in which 100% of acne was eradicated. It depends on the condition of your acne. To determine what kind of treatment will work best, you need to figure out whether you’re suffering from mild, moderate, or severe acne. 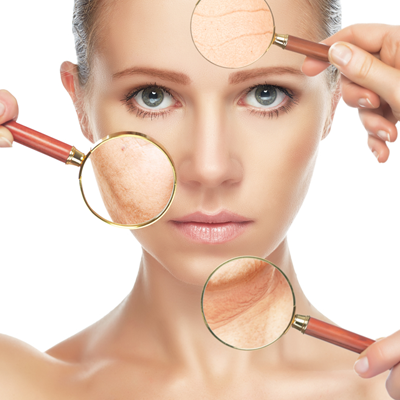 Having correctly graded your acne condition, you can now move on to figuring out the best acne treatment for yourself. The recommended treatments include topical retinoids, topical benzoyl peroxide, topical anti-biotics, or a combination of any two or three of these. Whereas topical salicylic acid, topical azelaic acid, topical sulfur, or a combination of these can also work as good alternatives. Moderate acne cannot be dealt with a monotherapy. You need oral anti-biotics (doxycycline, tetracycline, minocycline, lymecycline, erythromycin) with topical retinoids and benzoyl peroxide. Topical salicylic, topical azelaic acid, and, if indicated in females, hormonal therapy (strictly under expert supervision) can also work as good alternatives. You should first try out oral anti-biotics in combination with topical retinoids and benzoyl peroxide for 6-8 weeks. If you end up failing, your doctor may then prescribe oral isotretinoin as a last resort. Alternatively, you may be prescribed of hormonal therapy (oral contraceptives with or without anti-androgens). For maintaining results after you’ve gone through any type of treatment, topical retinoids with or without benzoyl peroxide work best – as suggested by this study. 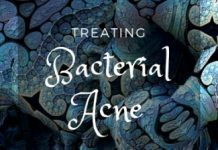 Following these latest studies on the efficacy combination treatments using retinoids, salicylic acid, benzoyl peroxide, and some other effective ingredients, several companies have come up with something called acne treatment systems. In essence, an acne treatment system contains different products that fight acne from all angles. And this is approach is way more effective as experts have clearly suggested that successful acne treatment is no longer monotherapy. Don’t get it wrong. Even these cutting-edge acne treatment systems won’t fade your acne in 3 days. However, a good acne treatment system will usually start giving you noticeable results after 1-2 weeks of continuous usage. 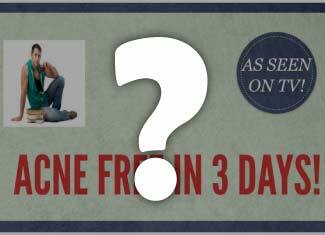 Never buy an acne-treatment system with less than 30 days of trial period with a money-back guarantee. Because this is the most sufficient time a good treatment can take to work on your skin. If an acne treatment system you’re looking to buy doesn’t offer a trial like this, it may be a warning sign. Why Go For an “Acne Treatment System”? Acne results from a dozen different causes, and it’s pretty hard for a single product to prevent all of them. At the very least, you’ll need a cleanser to shed dead skin cells from your skin. A treatment serum that will penetrate into your pores, clean them and prevent pore clogging. A moisturizer (if your skin is dry) to keep your skin soft and hydrated. And a non-comedogenic sunscreen that prevents sun damage without clogging your skin pores. Can choose several highly effective acne treatment kits at great prices and with 1-year money-back guarantee from Exposed Skin Care. I’ve thoroughly reviewed other kits as well – like clearpores acne cleansing system and revitol acnezine – but Exposed Skin Care has always proven itself to be the best in market. Even the most successful acne treatments take months to get rid of acne. You cannot cure your acne with a single product. To get rid of all your acne effectively, you need to use a balanced system of quality products with a proven track record.